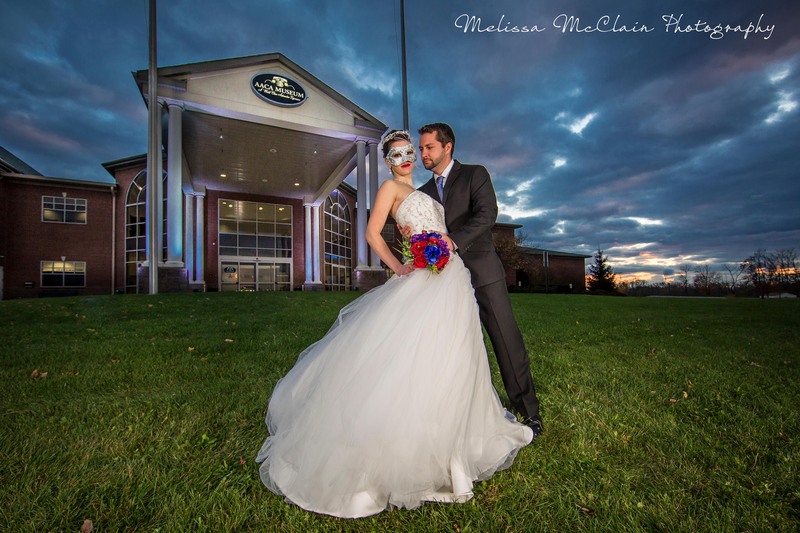 Pros To Know is an ongoing blog series featuring the best of Central PA wedding vendors! See his/her perspective on emerging and popular trends, tips on wedding planning, and what they love outside of the wedding industry. 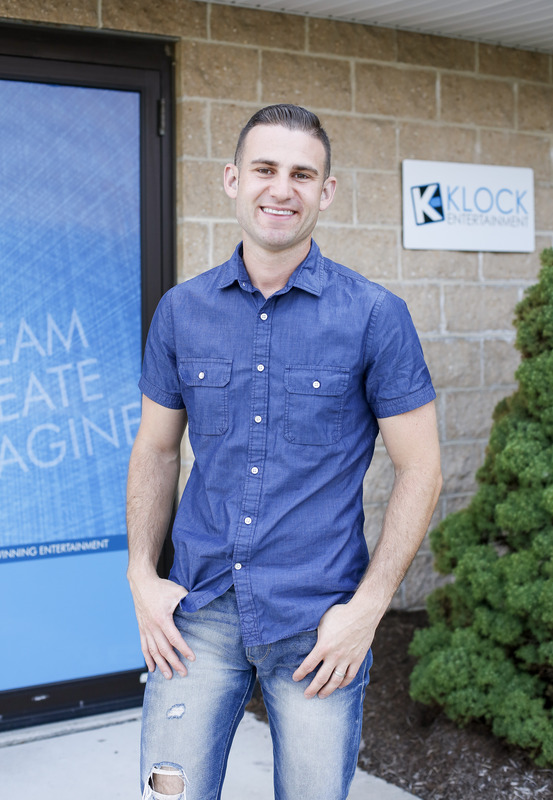 Klock Entertainment is one of Central PA’s leading entertainment options, implementing the latest in technology, multi-media, music, and talent. This group of highly trained entertainers specialize in providing a unique, memorable, and individual experience for your special event. Klock Entertainment continues to win Couples Choice and The Best of the Knot awards year after year! What makes Klock Entertainment Unique? What makes Klock Entertainment unique is the dynamic in talent bundled with us being a full-time engine and licensed business. With these two things, it allows us to properly produce and execute our couples’ wants, loves, and needs for their special event. Another thing that makes us unique is our staff who work with their heart and work events because they love doing it. Everyone I hire and including myself has a true passion for helping our clients maximize the celebration of life’s moments. What are the popular entertainment (and/or design) choices 2015 couples are making? In 2015 we are seeing many couples create an elegant light package that can still progress with the energy of the event. Instead of just place some up lights around their venue space, we are working with couples to create a programmed lighting experience to help enhance their special moments such as first dance, parents dances, and opening the dance floor after dinner. The term used for this is “Programmable Intelligent Lighting”. We are also seeing many of couples choose to pin light certain objects in their venue space such as their cake, picture table, or dessert table. Up Lighting is still extremely popular and can completely enhance any space. We are finding it is becoming more what we can do with the Up Lighting or Programming of other types of lighting, which is what truly adds a proper design for each individual reception space. What is your best piece of advice for couples on the hunt for the perfect wedding DJ? The best piece of advice is to make sure you like the person you’re hiring. I know that may sound silly, but regardless if they are a DJ, Photographer, etc. you have to spend time with that vendor during very important moments of your life. Additionally, I highly recommend going with somebody who is operating a licensed business. Whether they are a solo-opp or Multi-Opp that doesn’t matter as much as them being able to prove legitimacy through a strong track record, reviews, and longevity. Our Event Specialist and Full Time DJ, Nick Fortini has recently written this blog on choosing the right DJ for your needs. Outside of the entertainment industry, what brings you the most happiness? When I’m not working for Klock Entertainment or working an event, I enjoy spending time with my wife, Jess and our twins Avalyn & Elijah (who just turned two). We also have a third on the way due around Christmas! I also try to spend an hour a day or so doing some sort of personal fitness to keep the mind cleansed and fueled for the next opportunity life may bring! We rarely see many weddings in the colder months, however for Rebecca and Brendon, December was the perfect time for their gorgeous country club wedding. Rebecca is the head groundskeeper at Blue Ridge Country Club and Colonial Country Club, where Brendon is the head groundskeeper at West Shore Country Club. One of the cutest things during their engagement session was the little back and forth of who’s grounds were prettier or who had their annuals in first. With 12-14 hour days over the summer months, it was awesome to see these two kick back with loads of greens and turf friends to celebrate their nuptials. One of the best moments was capturing actual snow over the couple for their first dance courtesy of Klock Entertainment’s expertise! It was awesome to see Rebecca & Brendon’s guest drop jaws as they walked into the ballroom with the dramatic lighting, cloud and star effects, and beautiful table lighting (aka get this.. it looks AMAZING!!). Another great moment was watching and hearing Brendon perform a traditional New Zeland rugby chant! Overall we wish Rebecca and Brendon a relaxing and fantastic three week vacation.. you two deserve it! One of the absolute best wedding shows in the area is the AACA Wedding Show held annually in February. It’s the perfect, uncommon setting for meeting with unique couples looking for something a little different than most traditional style weddings. We’ve met so many amazing people in the past few years and always have a blast networking with other great professionals in the area. To our surprise and excitement, Nuria, who is hands down one of the best venue coordinators we’ve worked with, contacted us to photograph promotional images for the upcoming wedding show featuring a mascaraed theme. We set up with one of our sweetest couples, Tina & Adam, from 2012 to model, obtained a gorgeous dress from Taylored for You Bridal Salon, and had the talented Chelsea Nolan of Makeup by Chelsea rock out Tina’s hair and makeup. Along with a beautiful arrangement created by Leah McMaster of Weddings and Blooms and some magical lighting from Klock Entertainment, we had a premier line up for a perfect session, however mother nature thought differently with a very cold, very breezy evening. Despite the weather challenge, Tina and Adam were amazing sports and we captured the needed images!